Here are a few images of Ancient Mayan Warriors. 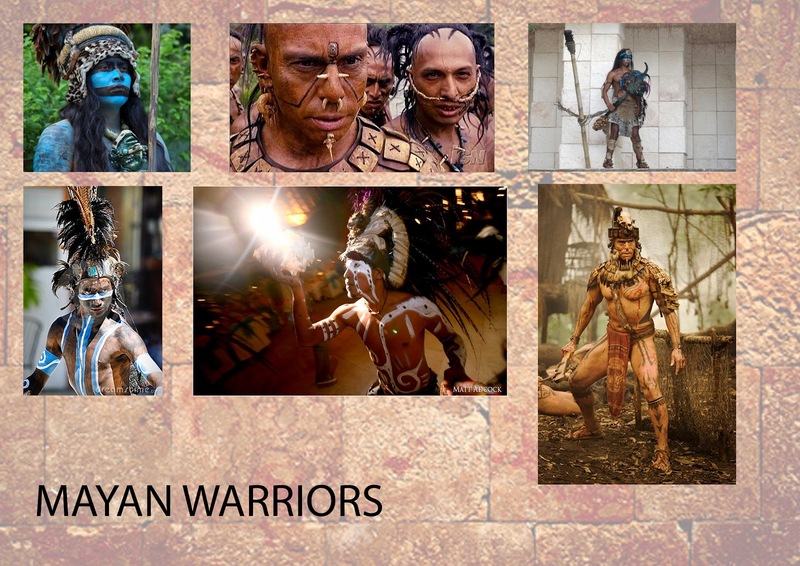 Due to the gameplay of this game focusing on combat I've delved into the look of the Mayan Warriors to inspire the design of the two main characters in the game. Not only do I need to think about the body art designs on the twins for the game but also other body modifications such as piercings. Something also which I need to research into a little more is the Mayan tradition of elongating the head.